This spacious and comfortable holiday apartment is located on the first floor of a family house on the island of Mali Lošinj. This spacious and comfortable holiday apartment is located on the first floor of a family house on the island of Mali Lošinj. It has a large terrace with a panoramic view of the sea and the center of Mali Lošinj where you can relax and enjoy the breakfast coffee or mild summer evenings. There is also a shared barbecue on the fenced property. 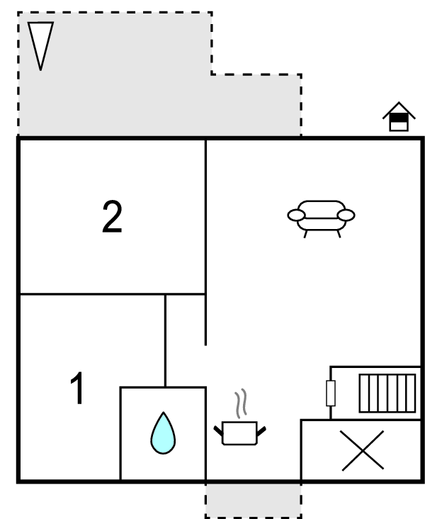 The house owner will inform you about the nearest beaches and the aqua park in Čikat. You can also quickly reach the town center with its rich gastronomic offer, café bars, clubs, souvenir shops and galleries. The island of Lošinj is a magnificent destination in the Kvarner archipelago, known as the island of vitality and health. Travel back in former times without stress. Visit also Veli Lošinj and the dolphin center. Enjoy water sports, walks through the pinewood along the sea, mini karting, hiking trails and viewpoints on the island of Lošinj and Cres. This beautiful modern apartment is made from brick or stone and was originally built in 2007 and refurbished in 2012. The agent has rated it as a four star property so it is a well-equipped apartment with above average furnishings. It is also great value for money. 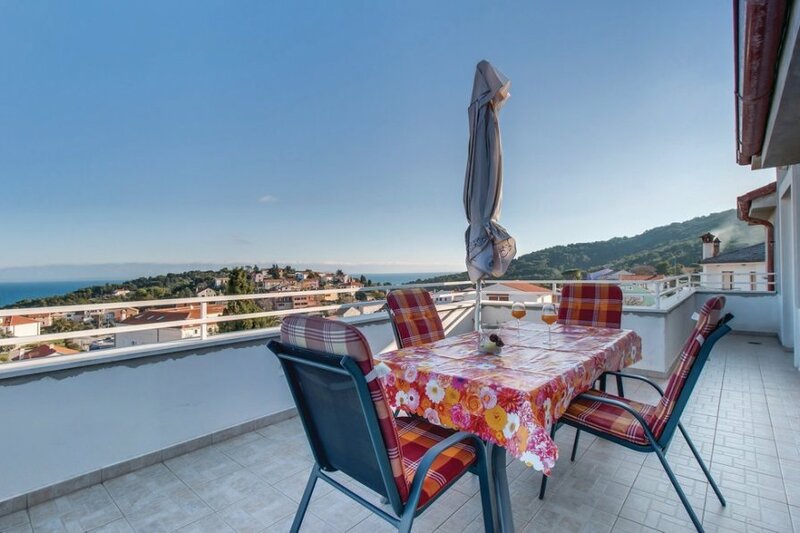 This apartment has beautiful panoramic view over water; it is also only 600 metres from Mali Losinj. It is set in a very convenient location, just 480 metres away from a stone and pebble beach. There's also a restaurant only 100 metres away.